This chapter outlines the purpose and development of a life care plan (LCP) for an individual with cerebral palsy. Potential care needs and their most common treatment options throughout the life span are described. In addition, it explains how the LCP can serve as a guide for families to access community resources and government benefits. The chapter presents the implementation of an LCP by a nurse case manager working with a child with cerebral palsy. A life care plan is a dynamic living document outlining the plan of care for an individual’s needs throughout his/her life. It is most often developed (sometimes as a result of litigation) for planning for long-term needs of patients with injuries or chronic conditions requiring complex ongoing healthcare interventions and management. The life care plan is considered a flexible document that should be modified with the growth and development of the individual with cerebral palsy (CP). The life care plan that is developed as a result of a lawsuit identifies monies available for future care needs, but it is intended to be used to augment medical insurance and/or community, state or federal benefits, or resources. There are instances when the physician’s recommended treatment may not be authorized by the insurance company or payer source. The funds from a special needs trust set aside by family or lawsuit can then be used to provide out-of-network services and/or additional evaluations, treatment, therapies, and interventions. A special needs trust is created to ensure that the injured party has access to community, state, and federal services which may be limited by existence of financial income or resources. A special needs trust should be prepared by an attorney specially trained to ensure that all benefits are protected. If the individual is a minor or adult who lacks capacity, then a court petition will be required to establish the trust. Blocked account is a petition filed to allow the court to oversee the disbursement of funds on behalf of a minor or adult with a disability. If the funds are held in a blocked account, they can be reached without a court order and are available to the minor once age 18 is reached. Minor’s compromise is a petition filed with the court to ask the court to approve settlement of a case in which the minor is the plaintiff. The court has supervision over a settlement or compromise and is generally held in Civil Court. Guardianship or conservatorship established by an individual who has been identified to serve as the guardian (for children under age 18) or conservator (for an individual age 18 or older) of the monies and is bonded to ensure protection of the money against abuse. ABLE accounts are tax-advantaged savings accounts for individuals with disabilities and their families, with a maximum contribution of $15,000 per year. The ABLE Act limits eligibility to individuals with significant disabilities with an age of onset of disability before turning 26 years of age. If the age criteria are met and the receiving benefits are already under SSI and/or SSDI, the individual is automatically eligible to establish an ABLE account. A life care plan serves different purposes for families with a child with CP. It can assist in the application for a special needs trust. It can serve as a guide for the family in identifying the types of physicians, frequencies of therapies, services, and equipment that individuals will need at different stages of their lives. It can serve as a guideline for the trustee or administrator in planning for current and future care needs ensuring that resources are available over the life span of the individual. Often the trustee will use the life care plan as the foundation for the rationale of purchasing or going outside of covered services provided by a health plan or to identify appropriate trust expenditures. The life care plan can assist the family and healthcare providers as a guide for the care and treatment through the comprehensive array of health services required, spanning all levels or intensity of care and covering all stages of life. It includes recommendations for all functional tasks, such as mobility, gross and fine motor function, communication, etc. Typical growth and development patterns of a child with CP are altered, resulting in deformities of bones, joints, tendons, and muscles. CP-specific growth charts are available through the CDC. Spasticity and/or pain may affect function. At a young age, these issues can be managed with noninvasive treatments, but as the child develops, the deformity may result in impairments or health conditions warranting surgical intervention. With any treatment intervention, the goal is to optimize function while ensuring safety, fostering self-care, and increasing or maximizing overall quality of life. Many of the interventions may focus on reducing muscle tightness, preventing or treating contractures, reducing pain, and identifying areas that may require assistance for activities of daily living, such as promoting cleanliness and assisting with bathing areas difficult to access (i.e., palms of hands or perineal care). PT, OT, and speech therapy are often begun as part of an early intervention program and, for the child with CP, are usually part of their treatment throughout childhood. More intensive follow-up physical and/or occupational therapy must be included in life care plan after serial casting, botulinum toxin injections, or surgery. An osteotomy to correct hip dislocation. In the post-op period, bowel and bladder management and wheelchair equipment with elevating footrest will usually be required. A spinal fusion to align and/or stabilize the spine may necessitate home health aides during the recovery period. Tendon lengthening/release may require immobilization for several weeks following the surgery. Adequate support for these care needs is to be included in the life care plan. Splinting and/or bracing may still be indicated post-surgery and/or for long-term maintenance. Tendon transfer may be considered for improved function or hygiene. Selective dorsal rhizotomy for excessive muscle tone or tightness. Periodic hip x-rays may be indicated especially if a child is not walking to determine if the hips remain in the sockets. The American Academy of CP and developmental medicine have hip screening guidelines based on the severity of the CP. Yearly spine x-ray may be required until growth is completed to determine need for bracing or scoliosis surgery. EEG (electroencephalography) may be necessary if the individual with CP has a seizure disorder. Hearing and vision screening/testing might be needed throughout an individual’s lifetime to adjust the treatment plan. Urodynamic testing to assess function of bladder is helpful to determine a treatment plan if symptoms exist. Additional diagnostics such as magnetic resonance imaging (MRI)/computed tomography (CT), ultrasound, DXA/DEXA, x-ray, etc. may be indicated with complications. A variety of medications are available to treat the different symptoms and/or disorders for an individual with CP. Detailed information about each medication regimen and/or condition is available throughout the textbook. 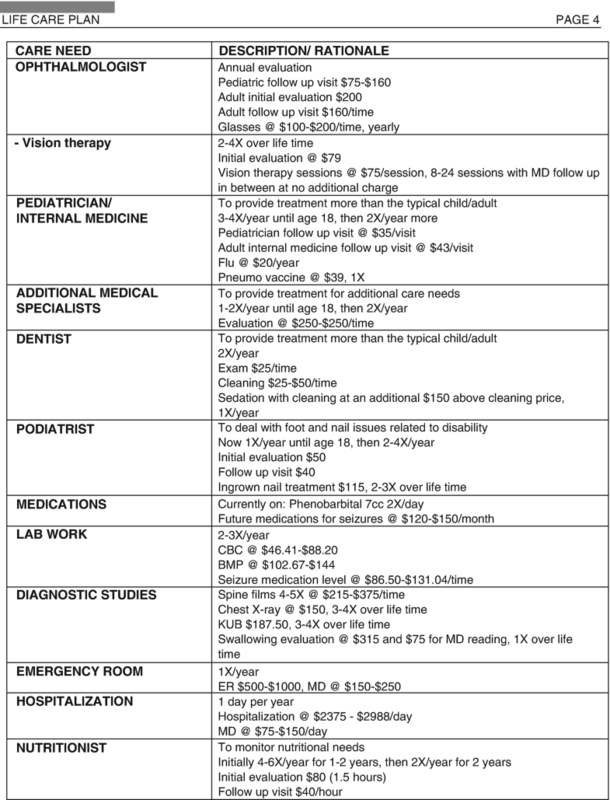 Listed below are some of the available treatments included in a life care plan. Several different medications are available to treat spasticity, relieve pain, and help achieve greater range of motion. Baclofen (Lioresal) can be administered by mouth (tablets) or via a pump into the intrathecal space of the spine, allowing for decreased dosage. The pump requires surgical trial, placement, and regular follow-up visits every 2–6 months with physician for refill and periodic surgical replacement of the battery, device, and/or tubing. Diazepam (Valium), clonazepam, cyclobenzaprine (Flexeril), dantrolene (Dantrium), and tizanidine (Zanaflex) are some alternative antispasticity medications. Seizures may be controlled with medication, ketogenic diet, a device called the vagal nerve stimulator, or epilepsy surgery and are discussed in detail throughout the book. The following listed medications represent some of the available medication treatment options to control seizure activity: carbamazepine (Tegretol), levetiracetam (Keppra), lamotrigine (Lamictal), gabapentin (Neurontin), and phenytoin (Dilantin). A combination of two or sometimes even three antiepileptics may be prescribed. Certain medications require routine or periodic blood level monitoring, and electroencephalogram (EEG) may be recommended for follow-up. Medications such as Adderall (amphetamine salt combo) and methylphenidate (Ritalin) are commonly prescribed for attention-deficit/hyperactivity disorder (ADHD). Propranolol (Inderal) may be indicated to treat behavioral issues. Imipramine (Tofranil) or desmopressin-acetate (DDAVP) nasal spray may be prescribed. Proton pump inhibitors (PPI) such as omeprazole (Prilosec) or H2 blockers such as ranitidine (Zantac) may be beneficial in treating this condition. Selective serotonin reuptake inhibitors (SSRIs) are some of the commonly prescribed medications. All medications have potential side effects. It is important to review the indications for periodic laboratory monitoring with the prescribing healthcare provider so that it can be incorporated into the treatment plan. This can include regular blood work and/or urinary tests. Some of the antiseizure medications require regular monitoring of the serum level to determine a therapeutic drug concentration level in the body. If complications arise, such as pressure wounds, infections, nutritional imbalance, etc., additional laboratory tests might be required to manage these. Therapies promote, improve, and/or maximize function while reducing pain and alleviating symptoms. This allows the patient to focus on improving abilities and independence at home and school and in the community. Most therapies include evaluation and treatments prescribed at different times over their lifespan. Therapists work collaboratively with physicians, nurses, teachers, parents, caregivers, and other professionals involved in the care and treatment. Each therapy available is discussed in detail in other chapters throughout this book. Traditional, nontraditional, and mental health therapies may be included in a life care plan. Physical therapy for gross motor skills and mobility; occupational therapy to address activities of daily living and instrumental daily living skills and oral-motor development; speech and language therapy to address oral-motor skills and verbal communication and for identification and implementation of alternative communication systems; sensory integration therapy for sensory processing; recreational therapy; and relaxation therapy are some of the therapies available. The individualized life care plan will include nontraditional therapies such as music therapy to improve cognitive function, motor skills, sensory skills, and social skills; equine therapy, also known as horse therapy; pet therapy; and aquatic therapy. Some mental health therapies available are as follows: play therapy to help children express and communicate their feelings and develop relationships; biofeedback to promote relaxation by learning how to harness the power of the mind to gain control over body functions; behavioral therapy to empower the individual and family to control behavioral responses in social situations; and cognitive behavioral therapy to provide strategies to alter reactions to difficult situations and emotions. The Individuals with Disabilities Education Act (IDEA) requires public schools to make available to all eligible children with disabilities free and appropriate public education in the least restrictive environment appropriate to their individual needs. It also requires that the school system develop individualized educational plans (IEP) which delineate needs and services that the school system will provide. It is important that the parents and caregivers are knowledgeable about the IEP process and how to advocate for their child’s needs. Their ability to do this may make the difference in obtaining such benefits. 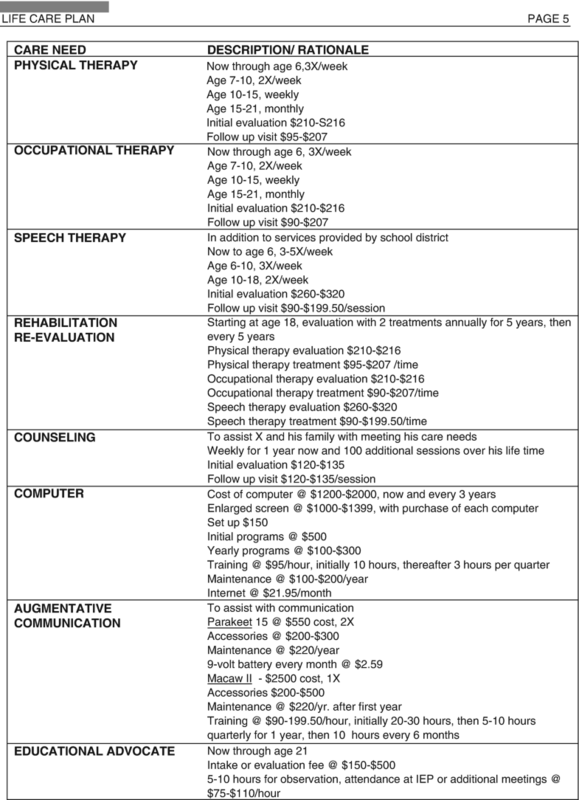 Some of the benefits provided by the school district are one-to-one or group therapy services (physical, occupational, speech, vision, and audiology therapy), an assigned aide during the school day, or supervised bus transportation, as well as adaptive physical education (APE). If the student has physical impairments, dyslexia, or cognitive problems, assistive technology can help her function within the classroom. These tools include any type of equipment or device that helps students to compensate for their learning disabilities. Each state is different, and often the school system is the key to accessing a variety of services. Knowledge of potential resources within the state may help the family to maximize the benefits they receive for their child. After age 22, local state and county programs can provide pre-employment or volunteer transition services or further education through local community colleges and universities. Some children with CP require special education programs that are offered at local public schools, providing an array of options for their special needs. These children are entitled to participate in educational programs from age 3 until they either graduate from high school or receive a certificate of completion through their high school. If the special education program at the public school is unable to meet the individual’s needs, the school may be required to place the child in a nonpublic/private school. These schools may be responsible for providing necessary accommodations to meet the child’s needs. 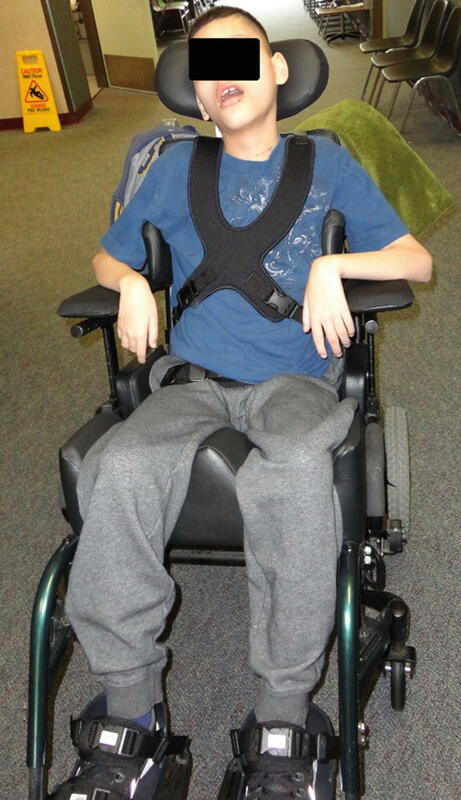 Schools are also required to provide resources for children with CP who require accommodations, adaptive equipment, modifications, or one-to-one aide for certain or all classes to meet their educational needs. Their education opportunities should not be impacted by their physical, motor, or communication ability. This is often addressed through an IEP to ensure appropriate education services. Special education services during the school breaks, known as Extended School Year (ESY), may be part of an IEP. These services are individualized to maintain skills and continue progress toward set goals. An educational advocate is a specially trained professional in education and disability law and is responsible to stay current with the regulations that affect a child in an educational setting. An educational advocate represents the best interest of the child and works with the family, caregivers, and the school personnel to assure that the child receives appropriate educational services in the most appropriate educational environment under the provisions of IDEA. Educational therapists identify and assess student learning needs, creating and implementing individual educational therapy plans specific to the learning goals for each student. A tutor may focus on specific subjects and review skills that have already been taught in class. This program enables individuals with functional, psychological, and/or developmental impairments to overcome barriers to access education and training for employment in appropriate occupations. Services offered include educational counseling, job training, apprenticeships, and non-paid work experiences after a comprehensive evaluation which determines abilities, skills, and interests. Adult day programs promote community inclusion, life skills training, and continued development of personal competencies. Programs are typically offered 5 days per week, full or part days, and typically operate during normal business hours. Some programs offer additional days or evenings. Eating, bathing, dressing, grooming, and toileting are all self-care activities which individuals with CP may have difficulty performing independently or with assistance. Equipment such as adaptation for a toilet seat to compensate for the lack of motor control, bath chairs, transfer boards, dressing aids, and installed grab bars are all items enabling participation and/or independence in self-care. 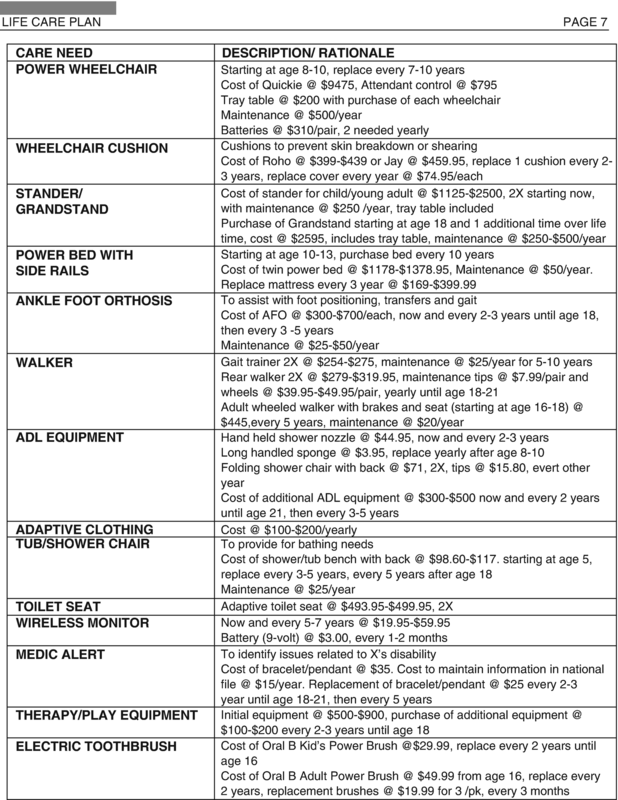 A physical therapist assesses the individual with CP to determine which mobility equipment is most appropriate to achieve the highest level of independence. Walking sticks and canes, crutches, walkers, standers, lifts, wheelchairs, and scooters are different types of mobility aides which can be modified and customized to fit the individual’s needs. 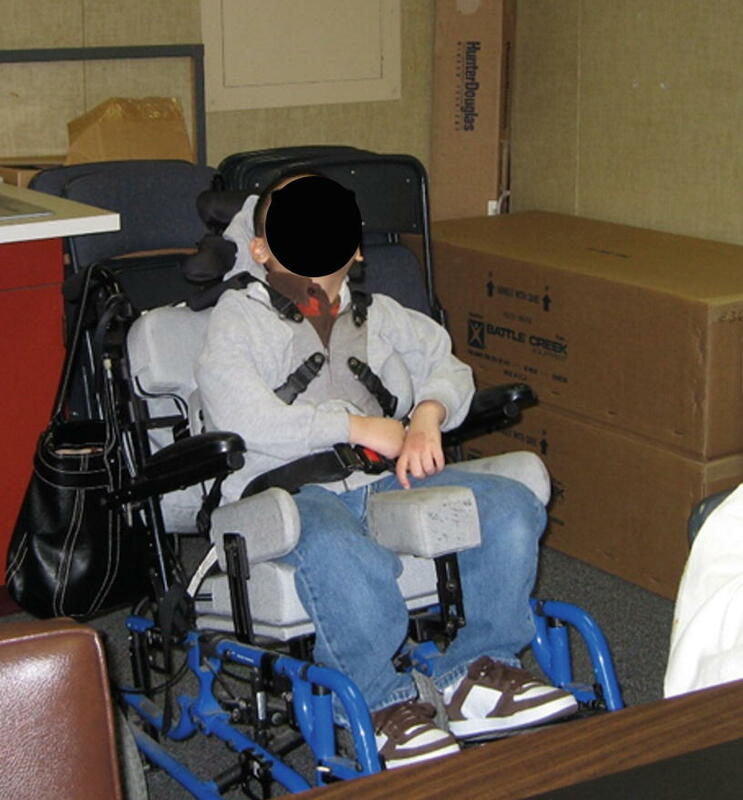 For some individuals, a chest support walker or reverse walker might be the best option, while for another child, a suspension walker is more appropriate. An installed ceiling lift might be a better option for one family, while a Hoyer transfer lift is suitable for another. Regular reassessment and modifications are needed, and maintenance of the equipment is required. Assistive technology for cognition aids such as computers or electrical assistive devices can help with memory, attention, or other cognitive challenges and enables individuals to have greater control over their own lives. Speech and communication devices, as well as memory aids, are available in many variations and customized to the individual’s needs. The goals of orthotics, such as splints and braces, are to ensure the individual with CP maintains the level of mobility by correcting physical issues that interfere with function. Orthotics might be prefabricated or specially manufactured in specific sizes and must be modified and replaced on a regular basis. A care attendant is a person with a medical background and/or specific training, aiding with daily tasks and chores. Some of their duties include providing/assisting with a bath, preparing meals, executing a home exercise program such as passive range of motion, accompanying/driving to appointments, and providing a safe environment for the care recipient to thrive in. A care attendant will provide care where the care recipient is located, which may be at home with family, during school, in a day program, during outings, or in a residential facility/skilled nursing facility. Certain services such a complex wound care, tube feeding, intravenous therapy, injections, pulmonary treatments, etc. 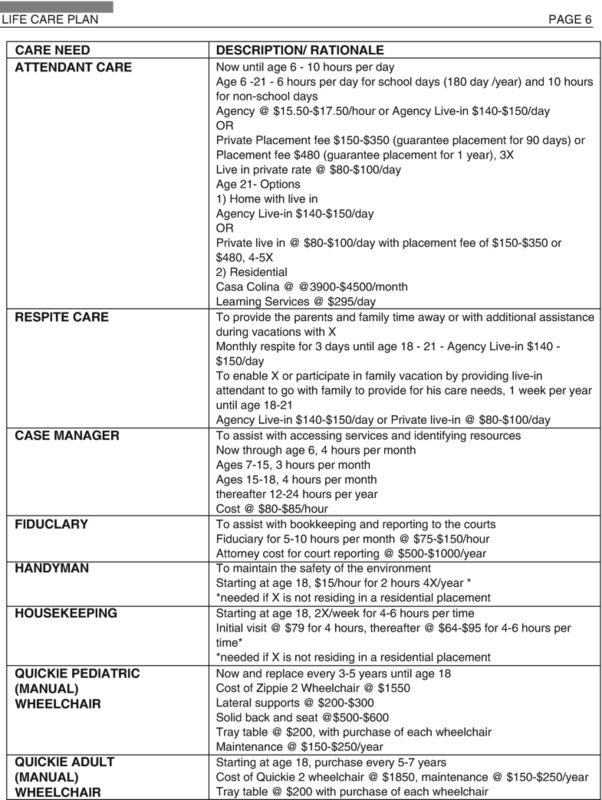 can only be provided by skilled care personnel, such as a registered nurse (RN), licensed vocational nurse (LVN), or licensed practical nurse (LPN). Nonmedical home care may be considered to provide relief for family and/or caregivers and might allow an individual with CP to continue to live in his/her current home rather than having to move into a care facility. In situations where the family members provide most care hours, respite care provides short-term relief for primary caregivers. This can be arranged for an afternoon, several days, weekends, or weeks and on a regular basis. Care can be provided through a care attendant at home, in a healthcare facility, or at an adult day center. A life skills coach, also known as a life coach, is a mentor, coach, and teacher, helping individuals to develop skills needed to integrate into the community, pursue opportunities for employment, and improve quality of life. Hours of training differ, depending on the individual’s functional and cognitive abilities and the goals set. If the option of living at home with family members and/or caregivers is not available for an individual with CP, a residential facility, such as a board and care, assisted living or skilled nursing facility or a group home, may have to be considered. This will often be the scenario later in life, due to parents/family members no longer being able to care for their loved one. A fiduciary serving in the capacity of a trustee is an individual person, bank, or member of a board who has the control/powers of administration of assets for the benefit of a third party. They have the legal responsibility to carry out the terms of the trust as stated in the trust document, which generally includes managing money that has been set aside in a trust, such as a special needs trust, for the beneficiary. Some of their responsibilities might include assisting the beneficiary in maintaining eligibility for public benefits programs, bookkeeping and accounting of trust activities, appropriate investment of trust, and tax reporting for the trust. To provide this service, they must inquire into the needs and welfare of the trust beneficiary, work with family members and care team, as well as consider both current and future needs of the beneficiary. A special needs trust attorney can provide advice on public benefits issues and set up the special needs trust. Once funds are deposited into the trust, an attorney can provide guidance on making distributions in order to preserve the beneficiary’s public benefits. A special needs trust provides financial support for the individual without jeopardizing government benefits. Leaving money in a special needs trust allows for improved quality of life. A guardianship/conservatorship is a legal relationship created when a person or institution is named in a will or assigned by the court to take care of minor children or incompetent adults. A guardianship is for a minor, and the minor remains under court supervision until the child reaches majority at 18. Conservatorship is a legal concept whereby a court appoints a person to manage an incapacitated adult’s financial and personal affairs. The conservator’s duties include overseeing finances, establishing and monitoring the physical care of the conservatee, and managing living arrangements. The goal of applying for benefits is to access funds from organizations that serve the needs of the disabled child/adult. Differences within each program will vary from state to state. Social Security and Medi-Cal/Medicaid benefits are funded by the federal government, and the amount allocated for each state will vary. This program pays benefits to disabled children/adults who have limited income and resources. A special needs trust (SNT) is not counted as a resource. This program pays benefits to individuals who have accumulated a designated number of work credits. The number of work credits you need to qualify for disability benefits depends on your age when you become disabled. Generally, you need 40 credits, 20 of which were earned in the last 10 years ending with the year you become disabled. However, younger workers may qualify with fewer credits. If you are under age 24, you can earn 6 credits for 1.5 years of work, and if you are 24–30 years, you can earn 8–18 credits for 2–4.5 years of work. Individuals who have a medical condition that prevents him/her from working or is expected to prevent him/her from working for at least 12 months is eligible to receive benefits. If a parent is retired, is deceased, or has a disability, a child or an adult may qualify. This program is funded by federal and states taxes and pays for a variety of medical, psychological, and dental services for children/adults with limited income and resources. There are income and resource restrictions, and the applicant must be a resident of the state where the application is filed. If an individual is eligible for SSI, he/she is automatically eligible for Medi-Cal/Medicaid. Medi-Cal/Medicaid Waiver Institutional Deeming (ID) is a process to obtain full scope unrestricted Medi-Cal without a share of cost for disabled individuals under age 18. Through ID, the individual’s family income and resources are not taken into consideration; the individual is assessed on his/her own merit. The program provides in-home support to disabled individuals with limited income and who are Medi-Cal/Medicaid eligible to remain safely in their home. Eligibility varies by state; examples are below. The Department of Rehabilitation (DOR) is a state-funded program in all states that provides services to individuals with a physical or mental impairment that substantially impedes their ability to secure employment and vocational rehabilitation services. Receiving social security benefits or possessing a valid ticket to work presumes eligibility for DOR services. Summer camps function as a way for individuals of all ages to spend time participating in activities specifically designed for their enjoyment. There are camps available for specific disabilities, benefiting participants with increased independence and self-confidence and providing the opportunity to interact with other children, develop friendships, and build meaningful relationships. 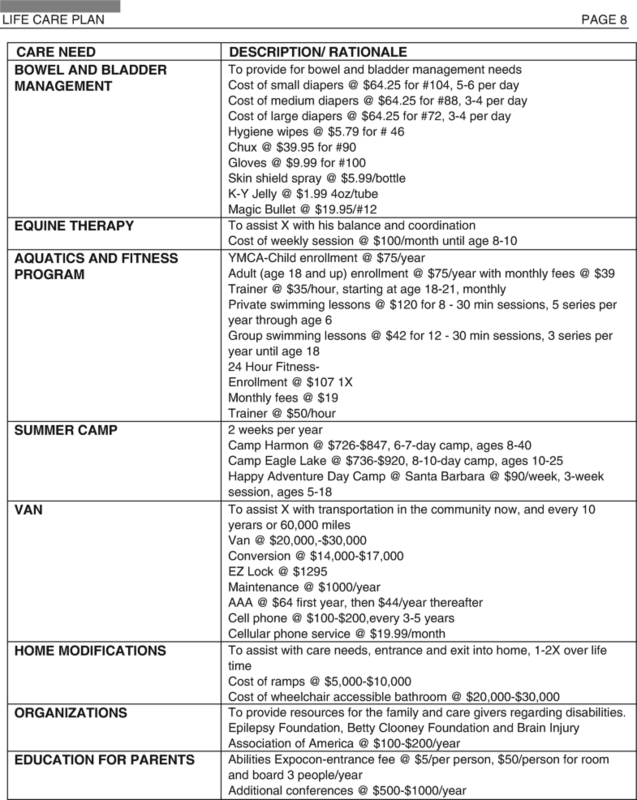 The following website offers a list of summer camps designed to accommodate individuals with CP throughout the USA: www.veryspecialcamps.com/summer/cerebral-palsy-camps/. Living with CP is different for each person affected. Local or online support groups as well as CP organizations can provide information, helpful resources, and support. 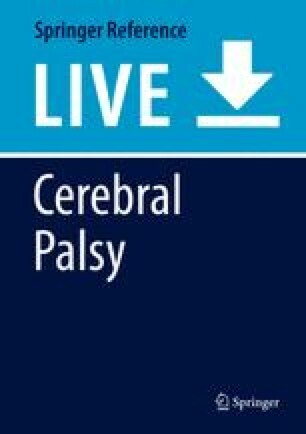 Cerebralpalsy.org, Cerebralpalsygroup.com, International CP Society, and MyChild at CerebralPalsy.org are some of the existing organizations. United Cerebral Palsy is an organization that educates, advocates, and provides support services to ensure a life without limits for individuals with CP and their families. Home modifications are changes made to the home to provide a barrier-free environment. It is crucial to eliminate barriers and allow accessibility to promote independence, improve the life of the individual with CP, and prevent isolation and lack of participation. Those can be simple changes, such as installed grab bars, lever handles on doors, or more involved projects such as adding a ramp, installing a lift for interior stairs, or modifying a bathroom for accessibility. Transportation provides a lifeline for people with disabilities to access community, medical, and nonmedical appointments, education, employment, etc. The Americans with Disabilities Act (ADA) of 1990 requires accessibility for public transportation. Despite ADA, transportation services are often not accessible to individuals with disabilities as adequate funding may not be provided to implement the policies. Alternative transportation options are available but vary greatly by state and city. The purchase of a modified van equipped with a ramp or lift to accommodate wheelchair-dependent individuals may be considered where public transportation is limited or unavailable. 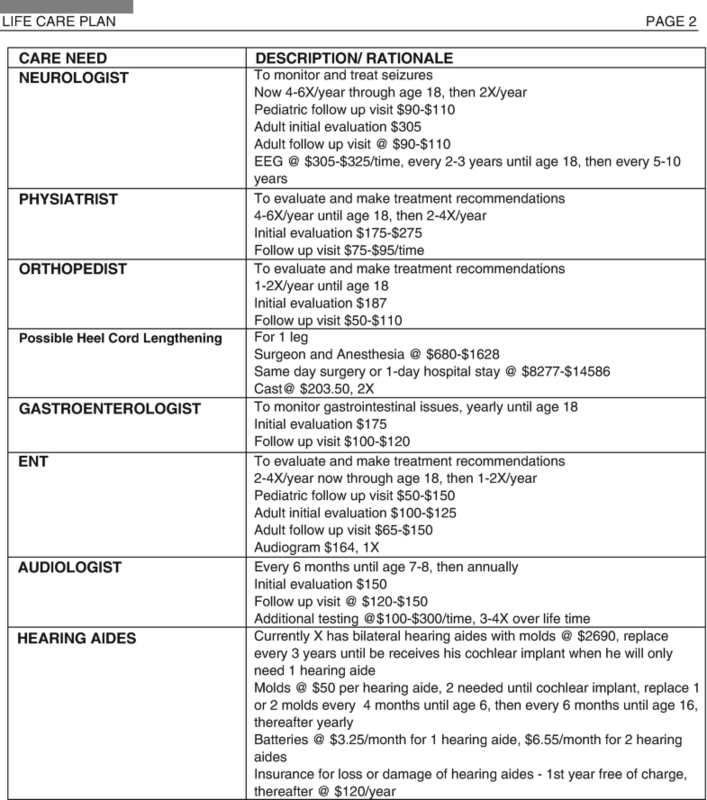 Although a variety of professionals are qualified to create a life care plan, as nurses and authors of this chapter, the technique for a nurse life care plan will be explained. The American Association of Nurse Life Care Planners claims that the American Nurses Association (ANA) Scope and Standards of Practice is the defining conceptual base for nurse life care planning. 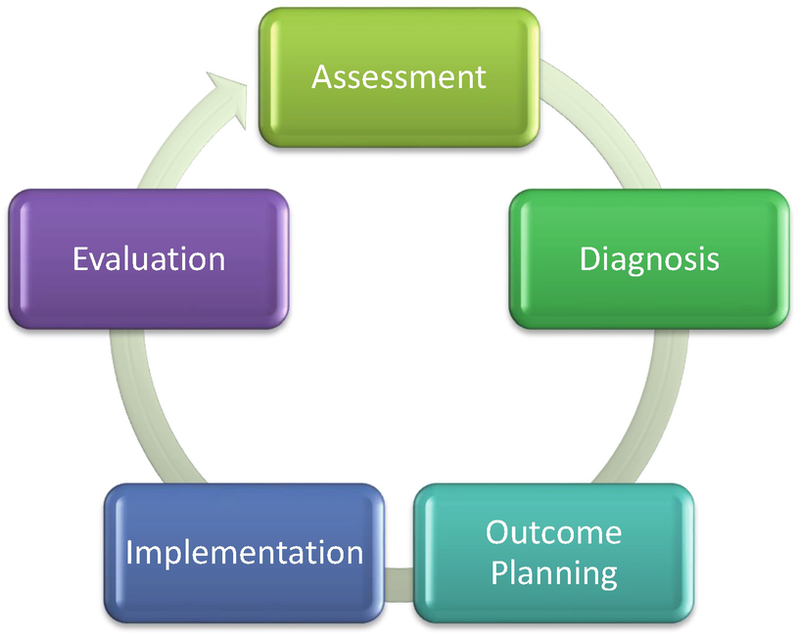 Nurse life care planners use critical thinking skills of the nursing process (Fig. 1) to formulate a plan of care for an individual’s lifetime, often involving decades of healthcare and other needs. The nurse life care planner applies the nursing process and then develops the plan, which includes the resources necessary to meet current and future medical and nonmedical needs and the costs of these resources. An assessment of the individual is performed, and through appropriate methods, data relevant to the care needs is collected. Accurate and comprehensive nursing diagnoses determine interventions and outcomes and guide planning and implementation of care. Evidence-based nursing diagnoses are provided by the organization NANDA International. The healthcare team members follow the plan of care with the resources available, routinely evaluate and determine if the expected outcomes were achieved, and modify the care plan when necessary. The life care plan fulfills the role of advocating for the individual with CP and educating healthcare professionals to help plan for the future. Essential elements, such as individual and caregiver goals, reasonable expectations, anticipated functional outcomes, and the means to achieve them, are addressed. Creating the life care plan, collaborating with healthcare providers, using scientific evidence-based guidelines, nursing research, and identifying community resources and healthcare systems are some of the functions of a nurse life care planner. The cost associated with each care need is outlined in the life care plan and obtained from providers, vendors, and other available reliable sources reflecting the value at the time researched. An economist determines the actuarial figures. 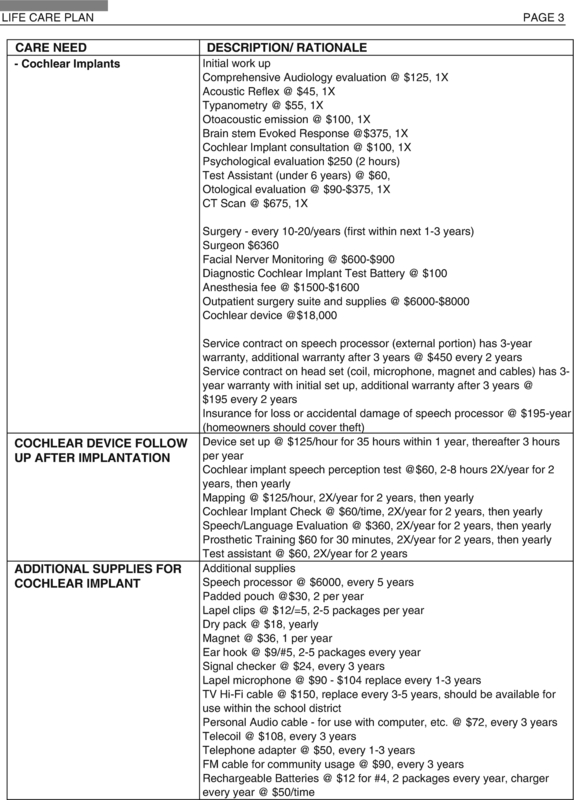 The following described journey of X, who was diagnosed with CP at age 2, demonstrates the value and effectiveness of creating a life care plan to outline future care needs, associated cost, and advocacy while functioning as a crucial guide for implementation of care by the family and nurse case manager (Picture 1). X was born in 2000 and contracted pneumococcal meningitis at 5 months of age. As a result, he was diagnosed with CP and developed a Lennox-Gastaut seizure disorder. As a result, there was a lawsuit and a life care plan prepared in 2002 (Figs. 2, 3, 4, 5, 6, 7, and 8) (Picture 2). Money was awarded for X’s current and future care needs, and the family initially served as the guardians of the estate. A fiduciary and attorney were later identified and appointed to oversee the expenditure of the money and to report to the court. The family used the life care plan to identify the services and frequency that X would need. The court and attorney used the life care plan as a guide for the appropriate expenditure of money and served as the basis for identifying and funding services to meet X’s needs. Federal, state, and county resources were identified and applied to augment X’s finances and meet his needs. Nurse case managers were involved in identifying and accessing physicians, therapy, supplies, equipment, and recreation programs and preparing justifications for home modifications and modified vans. The family relied on the presence of the case managers at physician appointments, clinic evaluations, and educational appointments and to assist them in navigating the healthcare system. Educating the family about treatments and helping them to make informed decisions regarding surgery or placement of a vagal nerve stimulator were important aspects of the case manager’s role. The family was often uncomfortable asking questions or clarifying treatment options, but as the years passed, X’s mother assumed the role as her son’s advocate. 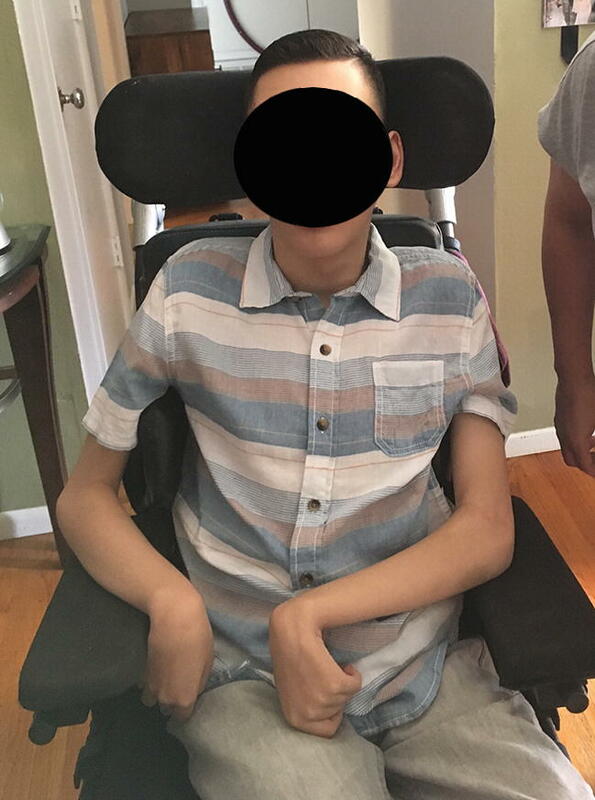 Due to X’s bilateral cortical infarcts making him visually impaired, advocating for his educational needs through the IEP (Individualized Education Program) was another role that the case managers assumed. Currently X is 18 years old and living at home, medically stable, participating in activities with family including swimming and community outings, and attending school. The case manager’s service hours have now been decreased, and her function has changed to that of a resource in planning for the next phase of X’s life as the family has learned to advocate for X’s needs (Pictures 3 and 4).